After all these years you still can’t fault Pixar for originality. 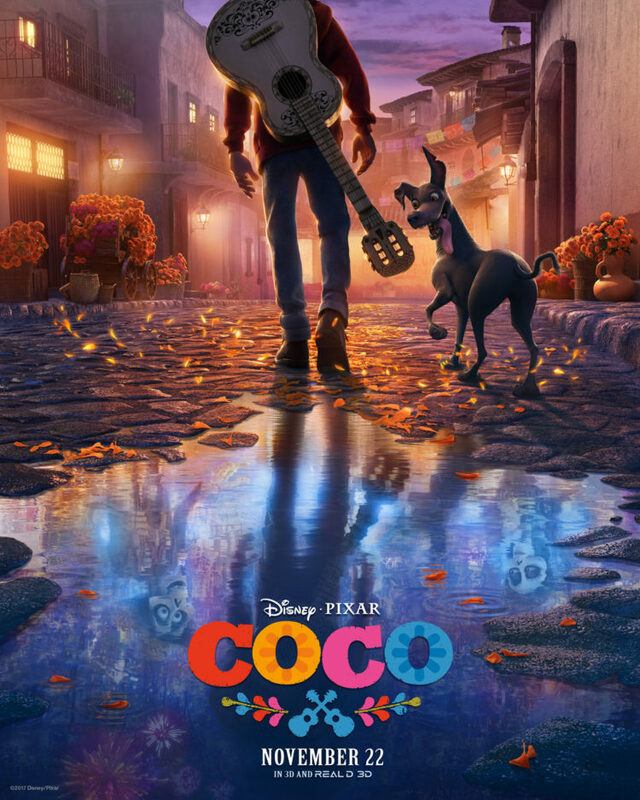 At a time when every animation seems to have some anthropomorphic animals or is a sequel (although Pixar suffer from this too), they introduce a movie featuring a young boy entering a world that is often explored but never in such a way that Coco does. Coco is the story of a young boy forbidden from playing music who longs to be a musician. So far, so generic but Pixar always seems to have an ace-card up it’s sleeve and this time it is the setting of Mexico and the Land of the Dead. Young Miguel finds himself trapped in the Land of the Dead with more over-bearing family, a crazy guide and in search of a legendary musician who has long passed but may be his key back home. The story itself is hardly original either but the world Pixar creates is something to behold. The Land of the Dead is full of amazing vibrant colour and once this stage of the movie is revealed, it fills the screen in wonder. It is one of those environments where the animators can have freedom to play around and multiple watches will always find something else in the background to behold with this ingenious design. Adding to this is the folk-lore and fables that surround this new world. The Land of the Dead holds it’s own rules, from needing a family members blessing to get back home through to the spine of the story which involves the Day of the Dead festival and the importance of not being forgotten. In fact, in it’s creativity it also sheds some light on why this festival take place and it’s importance in Mexican culture, adding a new appreciation to this practice and it’s culture. This is where the story is also it’s most captivating, as it takes you on a journey involving massive cat-dragons, dead Frida Kahlo and plenty of incredible music. The soundtrack was always going to be important in a film about a budding musician and here it used to great effect. Both funny and at it’s best tragically, the songs bring the film to life and push it just ahead of it’s more generic contemporaries. Only just though. Once the rules of this exotic world have been established, the film does start to tread familiar lines. It doesn’t offer anything particularly new in the overall plot and anyone who has watched even a handful of animated movies will see the twist and the ending of this film coming from a mile-off. Overall, Coco is another example of Pixar’s creativity. It is a film which sheds light on a well-known but little understood festival and wraps it around a magical world full of possibilities. Unfortunately, a generic plot which is easily guessed lets it down slightly. Hello there, solid and fair review. 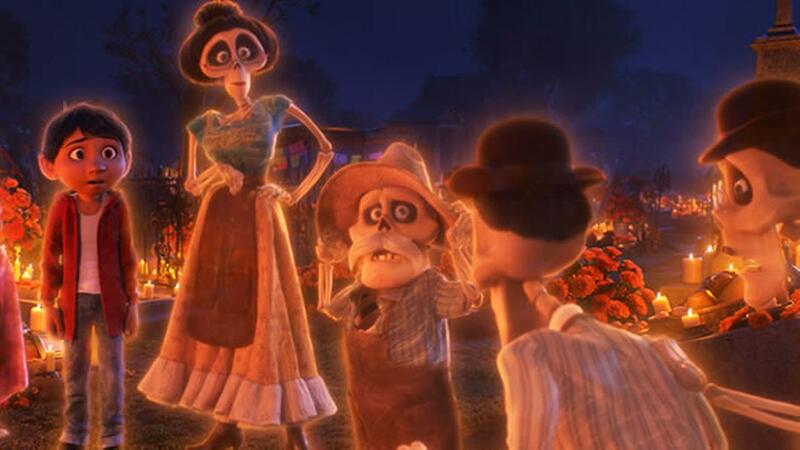 I really enjoyed Coco, and even though like said the story’s predictable and you can tell where the stories going if you’ve seen these type of family/animated films before, I thought it still struck the right emotional beats and the creativity in The Land of the Dead was great. Plus I thought the reveal with Ernesto de la Cruz was pretty dark for a Pixar film, I don’t think death has been handled in that kind of way in this series of films before. Beyond that, I really enjoyed the film score and music too. Previous Previous post: Best of 2017: The final publicly voted list!